Did you know: ImuPro recommends colon therapy at the beginning of the elimination phase, in order to strengthen the protective role of an intact intestine? This practice supports the ImuPro change of diet, helping to regenerate the intestines and can also prevent the emergence of new delayed food allergies. What exactly is colon cleansing? The practice of colon cleansing has been used as early as 1500BC, with Ancient Egyptians describing the many health benefits in the Ebers Papyrus (an ancient Egyptian medical document). Back then, colon cleansing was administered in a river with a hollow reed! Thankfully, colon cleansing methods have progressed since then and there are now more simpler (and hygienic!) ways to remove toxins from our system. Colon cleansing is a standard method used to prepare for fasting therapies, the purpose being to remove toxins from the intestine. Clearing waste from your colon will assist in treating possible gut dysbiosis and re-establishing normal intestinal function. 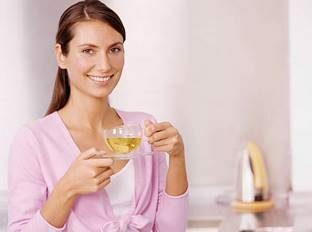 While many of these practices can be administered on your own quite easily, it is always advisable to speak to a health practitioner or therapist before embarking on any detox or colon cleansing program to ascertain which method is most appropriate and suitable for you personally.